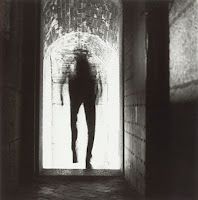 I have had many paranormal experiences of various types throughout my life, with some being quite frightening. However, I wish to relate two incidents of a very different sort. In 1973 in Zimbabwe, aged 26 years, though not sure of the month when this incident occurred, I was suffering with severe toothache for some time, to such a degree I couldn't concentrate on my work at the office and spent many sleepless nights as no amount of pain killers offered relief. With the shortage of dentists, I was finally able to see one within three days. On this particular night, I was unable to sleep as the toothache was so severe. My ear ached and my head throbbed to a point where I decided I would see the dentist in the morning (two days earlier) as an emergency patient.